They would be great brushes but they fall apart. 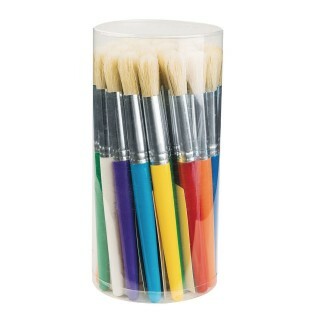 It's great to get so many brushes and that they are in their own container. The kindergarten students in my class are going to love these colorful fun and easy to use paint brushes. These are coarse and stiff easy to hold and great for preschoolers painting large areas. 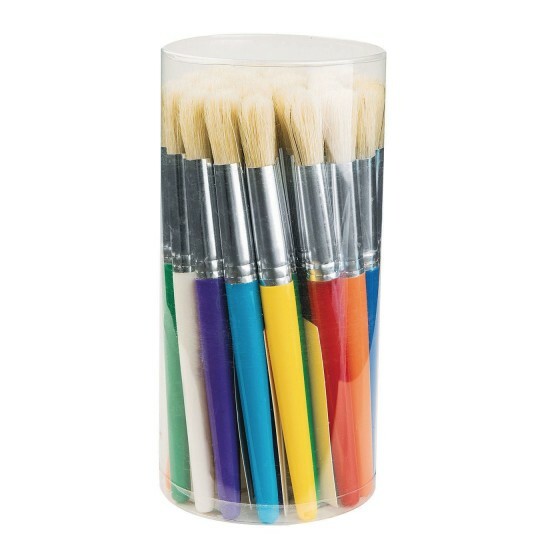 Do not use for any kind of detail work.Clean promptly - the bristles appear to be natural and if paint begins to dry in the bristles it is very difficult to remove.